Last week we saw Gearbox confirm that Borderlands 3 is on the way. The games developer shared an official reveal trailer, containing lots of information and hints about what will be in Borderlands 3. Furthermore, there were goodies announced for previous Borderlands generations players; free visual upgrades and tweaks to both the original Borderlands game, and Borderlands 2 and Borderlands: The Pre-Sequel from the Handsome Collection. 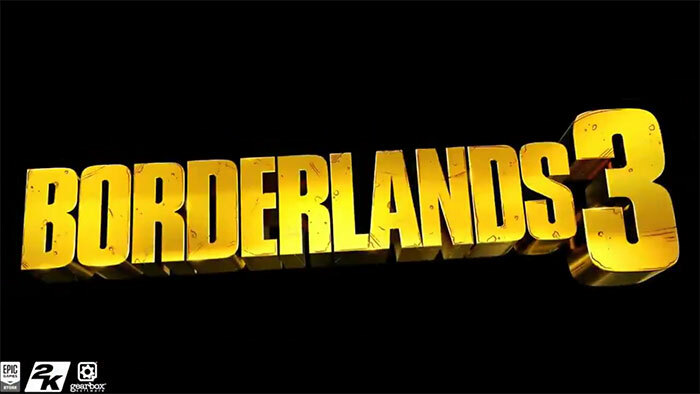 Gearbox teased that it would reveal more about Borderlands 3 on 3rd April. Players of previous games will see their free enhanced graphics and tweaked upgrades become available for download tomorrow too. Of course some important things were missing from Gearbox's information blast at Pax East. One of the biggest questions remaining after the reveal was - "When will Borderlands 3 become available?" Another important question concerns where PC gamers will be able to buy Borderlands 3. Thanks to some premature official Tweets captured by Wario64 (via NeoWin) we might have the answers to these two questions. 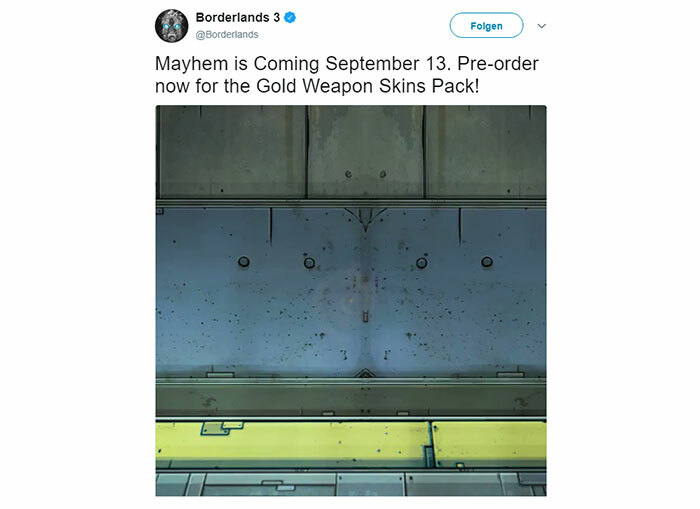 Above you can see the first Tweet that clearly indicates Borderlands 3 will launch on 13th Sept, a Friday. Gamers are encouraged to pre-order in return for some gold weapons skins. That isn't all though, a Tweet with an embedded video as preserved on Twitter by Wario64, has some big gaming industry connotations. The short 6-second clip advertising 'guntastic' fun thanks to the 'bazillions' of guns in Borderlands 3 includes an Epic Games Store logo all the way through, bottom left, next to the 2K and Gearbox logos. No mention of Steam is evident, so Borderlands 3 PC could well be an Epic exclusive in September. A pinch of salt might be required for the above leaks, due to them occurring on 1st April, but things should be cleared up by the further official Borderlands 3 announcements coming tomorrow.